HCM City (VNS/VNA) - More than 30 leading Vietnamese producers of garments, textiles, handicrafts and fashion accessories will be showcasing their products at one of Asia’s largest exhibitions to be held in Hong Kong at the end of this month. Goods to be displayed at the show include apparel, fashion jewelry, underwear, swimwear, bags, luggage, scarves, footwear and fabrics all under one roof. 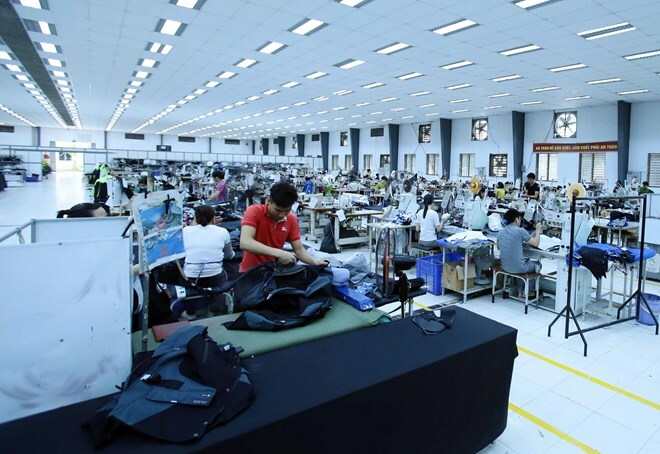 The four-day Global Sources Fashion show will feature verified suppliers from major fashion manufacturing hubs, including Vietnam, China, Hong Kong, Taiwan, the Republic of Korea, Bangladesh, India, Indonesia and the Philippines. The exhibitors from Vietnam include members of the Vietnam Textile and Apparel Association (VITAS), Vietnam National Textile and Garment Group, and Handicraft and Wood Industry Association of Ho Chi Minh City. With over 1,800 booths, the fair is expected to welcome 12,000 buyers from 150 countries and territories, including the US, the European Union, Hong Kong, Japan, Brazil, Mexico, Middle East, and South Africa, among others. The one-stop sourcing show is expected to witness growing participation from branded firms, including more than 500 exhibitors worldwide promoting their own designs and brands. The event will also feature fashion parades and industry-related conferences, according to the organiser Global Sources. Pham Thiet Hoa, Director of the HCM City Investment and Trade Promotion Centre (ITPC), told Vietnam News prior to the event that the centre was supporting most of the exhibitors from Vietnam to participate in the trade show as part of its mission to help businesses in the city as well as attract more foreign investment to Vietnam. This year the textile and garment sector has set a target of 40 billion USD in exports, up 11 percent year-on-year, according to VITAS. The sector is expected to enjoy a trade surplus of 20 billion USD, and create jobs for around 2.85 million workers.